Day in and day out we search for ways to make our lives more efficient. This may come as easily as using Amazon to order a birthday present for a party your child will attend this weekend or may take more effort, like installing a money-saving smart thermostat to control your home environment while you are away. This search does not end when it comes to health care, and more specifically, to eye care. 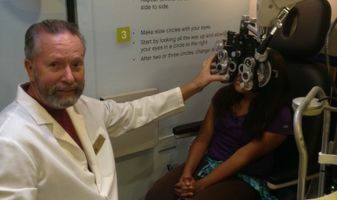 Patients, or eye care consumers in this case, are constantly seeking ways to obtain eye care in a way that fits into their lives. This brings us to this month’s topic: Access. Access to eye care may come in a variety of modalities – in-office care with a private practitioner during normal weekday hours, a Sunday afternoon eye exam in a retail setting, an online refraction with a glass of wine during dinner, making a quick stop at the kiosk at your local grocery store after picking up the mandatory milk and eggs – one way or another, patients will find a way to make access to eye care fit into their lives. So, it begs the question: What are we, as private practitioners, in small town America, doing to accommodate these needs? When we entered optometry school, many of us dreamed of 9-to-5, Monday through Friday. This is not the reality for many of us today. In an effort to increase access to eye care, many of us have increased our office hours to include early mornings, late evenings and weekend hours. But I wonder, how many of us are going off-site? How many of us are delivering, or even open to entertaining the idea of delivering eye care over the Internet? Many of us provide emergency access via an on-call service. Some of us are even providing patients with our personal cell phone numbers and email addresses. I wouldn’t be surprised to find that many of my peers, like me, have opened the doors of their own home to an eye emergency. As we approach 2016, I have challenged myself and my associate doctors to think outside the box. 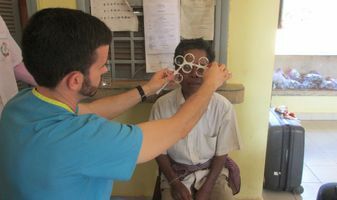 How can we increase access to eye care even more? Should we accept more third-party partners – offering care to Medicaid/MediCal patients surely increases access to those who might have limited options? Should we be offering care in nursing homes or assisted living centers? Should we be going directly on-site to large corporations to meet the needs of busy executives? Should we be “setting up shop” at the local ski slope to meet the needs of busy weekend warriors that are looking for an excuse to take a break? Do we need an app for the newest gadget/watch/phone that lets us communicate in real time to patients looking for answers about their red eye? Let’s challenge ourselves, as an industry, to think really far outside the box. Forget the box existed. Dream. If we intend to remain competitive in today’s environment, increasing access will be a key component of eye care delivery. If we don’t do it, someone else will. I sold my practice in 2007 and I’ve been lucky enough to have the opportunity to be able to dedicate my time to volunteering. ... read more.